Coordinated For Life? Malaika Arora And Arjun Kapoor Snapped Twinning & Winning! Guess who just got back from a long holiday in the Maldives? Lovebirds Arjun Kapoor and Malaika Arora were snapped at the Mumbai airport post their return from the exotic island. Amidst all the wedding rumours, Arjun and Malaika are busy painting the town red...or should we say 'blue'? The couple was spotted together leaving a party thrown by Chunky Pandey. They left together in a car and were seen wearing coordinated blue outfits. 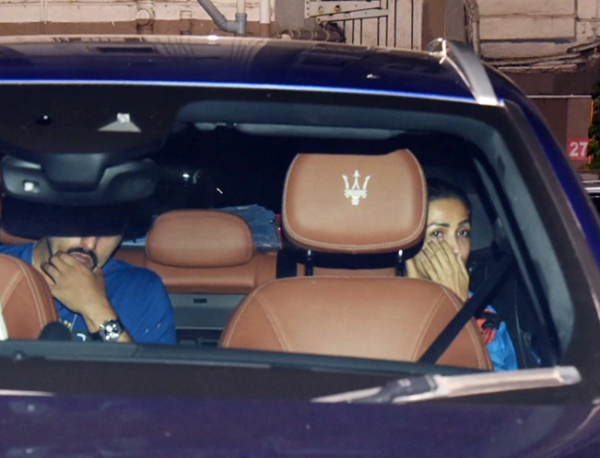 Malaika wore a dress while Arjun kept it casual in a blue t-shirt. Don't they look adorable together? Seems like the couple no longer shies away from the shutterbugs. Malla and Fubu went all out! At Chunky's party, Malaika and Arjun partied the night away with friends Farah Khan and Sikander Kher. Shweta Nanda, Kaajal Anand and Rahul Khanna were also spotted at the do. Recently, Malaika Arora was in news for getting trolled for wearing a bikini during her vacation in the Maldives. However, the actress didn't try a blind eye to her haters, and instead, posted another picture in a bikini on her 'gram. With a clear message that asked trollers to cut the negativity. 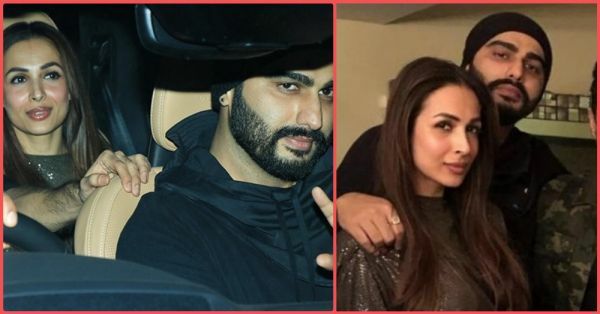 As for Arjun and Malaika, sources close to the couple confirmed that they will make their relationship official on April 19. Aren't you excited?